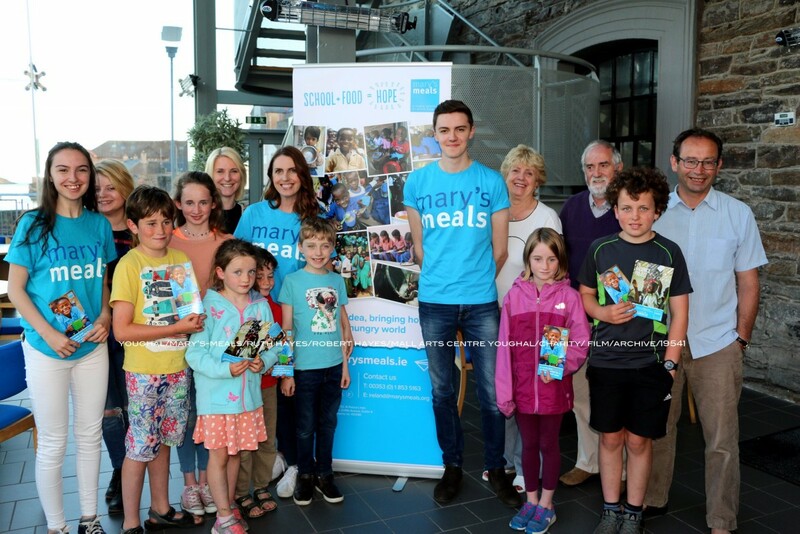 Congratulation to Ruth and Robert Hayes (of Youghal Parish) who are community ambassadors for Mary’s Meals on screening two short films ‘Child 31′ and ‘Generation Hope’ on Thursday 14th June in the Mall Arts Centre, Youghal. Both films give an insight into Mary’s Meals which is a global movement that sets up school feeding programmes in the worlds poorest communities, where hunger and poverty prevent children from gaining an education. The films were screened to create awareness of the Mary’s Meals organisation and the wonderful work they do. After the screening Ruth and Robert thanked all those who attended, the staff at the Mall Arts Centre for such a wonderful venue, the local press, and all those who came to support such a worthy cause. If you would like to become involved as a volunteer contact Ruth Hayes for further information. Picture at the screening at the Mall Arts Centre, Youghal, on Thursday, 14th June 2018 are Ruth Hayes and her son Robert with supporters of this great cause. If you have any queries please do not hesitate to contact Yew Wood Venues at 087 9593276. If you missed the screening ‘Child 31′ and ‘Generation Hope’ will be posted shortly in the next post on this site.